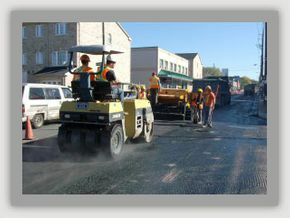 Asphalt Paving GTA | Testimonials | MTC Paving: A Division of Mountain Top Construction Inc.
After 8 years we finally had our parking lot repaved and it came out perfect. Angelo and Peter explained how the parking lot was going to be paved and it was done exactly how they said it would. Their workers were polite and clean they left the area cleaner than it was. Thank you again for the awesome work and help with my project. In 22 years of landscaping I have come across a lot of companies and it takes a lot to blow me away. Well I am glad to say I was beyond blown away from the level of customer service and the attention to detail Peter and MTC Paving gave my project. Peter walked me through every step of what and how they do things in order to not only make me feel comfortable but also to help educate me on the process and what to expect. The paving crew was professional, clean and did the install in record time. I am proud of the work you did and proud and happy to recommend MTC Paving to any of my clients who ask who the best around is! Looking forward to many more years of working together and continuing to have my mind blown! - Scott Duff | Owner/President of Aura Landscaping Inc.
Have you had an occasion to hire MTC Paving: A Division of Mountain Top Construction Inc. and would like to share your feelings about the experience? Tell us about it, or leave a comment at Homestars.com.